Metallic Epoxy Floors are unique and unlike anything you have ever seen before. 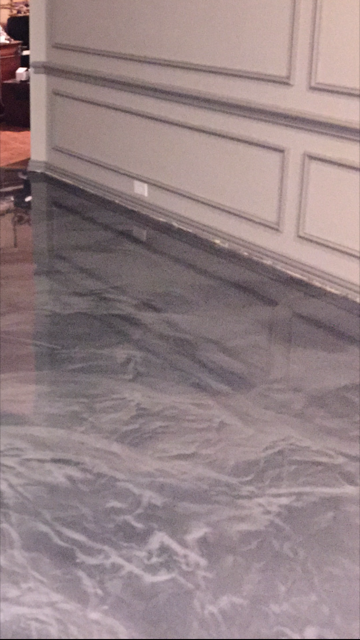 Our professional installers are the best in Texas and once you have experienced the beauty of metallic epoxy flooring you will never want anything less. We provide service for both residential and commercial clients in Frisco, and the entire Dallas / Fort Worth Metroplex, so no matter if you want to transform your home, office, restaurant, bar, warehouse, or showroom into a masterpiece we are ready to assist. Our floors are versatile, beautiful, durable, and best of all unique. No matter if we install a metallic epoxy garage floor, or an epoxy kitchen floor they will both withstand the traffic flow for years to come. Combine the durability with the unique designs created and you will be the envy of all your friends and patrons. We offer the largest amount gorgeous colors to choose from, and when you mix-and-match colors, you come up with an unlimited number of color selections that will simply blow the competition away. Match that with us using only the highest quality materials, along with years of experience and you will see the difference in quality that we bring to your project. Be sure to contact us today for a free quote on your epoxy floor coating, and speak with one of our distinguished professionals. Are you tired of the gross carpet in your home? Are you looking for something different from all your friends that have wooden floors? Do you have old outdated tiles floors that really just need to be replaced? 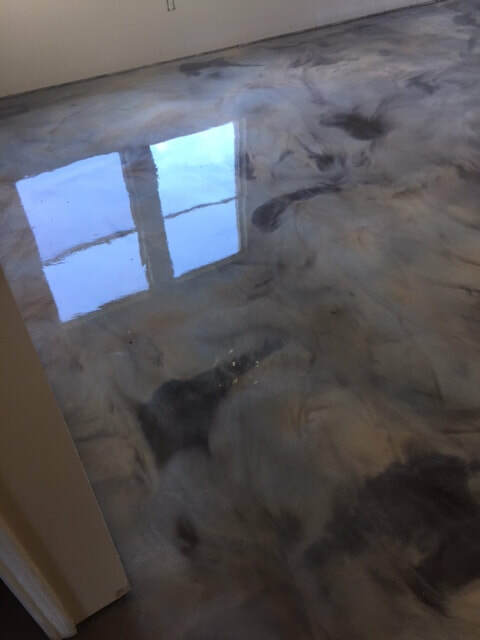 Have you ever considered metallic epoxy floor coatings for your home? The trend is catching on and the final results are stunning and spectacular, to say the least. No matter if you want to redo the floors in your entire house, or only a room or two, we are ready to assist you with your project. 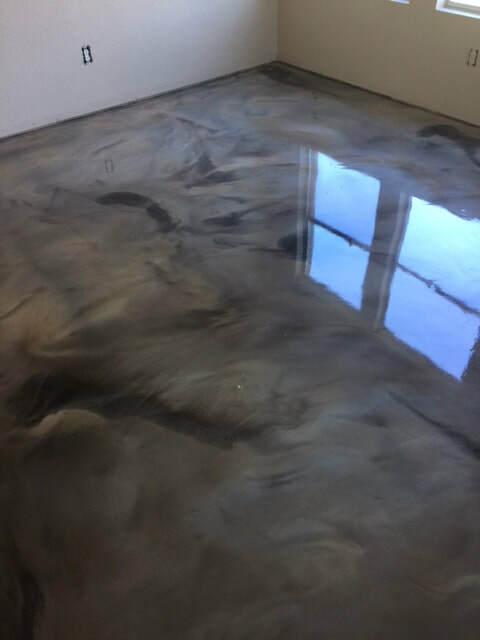 Our team of professionals take pride in their work and are really good at what they do, and are considered to be the best in Texas when it comes to installing metallic epoxy. You can really make your business stand out by choosing an amazing metallic epoxy floor coating. Your visitors will be stunned as they will be able to tell that what you have is very custom and a one-of-a-kind original. For many people seeing this type of cool metallic flooring is a first-time event, and what a way to make people remember your business. You have always heard that you have one chance to make a great first impression, and why not make that impression by having the best-looking floor in town. Metallic epoxy is great for all types of business due to it being so versatile, durable. It is able to withstand and hold-up to all types of traffic that most businesses face on a daily basis.